It was a very special moment for the wonderful Dorothy Hopwood when she was (finally) confirmed in The Church of England … a mere 92 years after first being baptised! The Bishop of Burnley, Rt Rev. Philip North, confirmed Dorothy - who was then able to take Holy Communion immediately after. Dorothy, 92, of Helmshore in Lancashire, is a faithful parishioner of St Thomas’ Church, Musbury. Bishop Philip said: “Jesus Christ is for everyone and it is never too late to say yes to his love. Very often we confirm children as they make promises of faith. 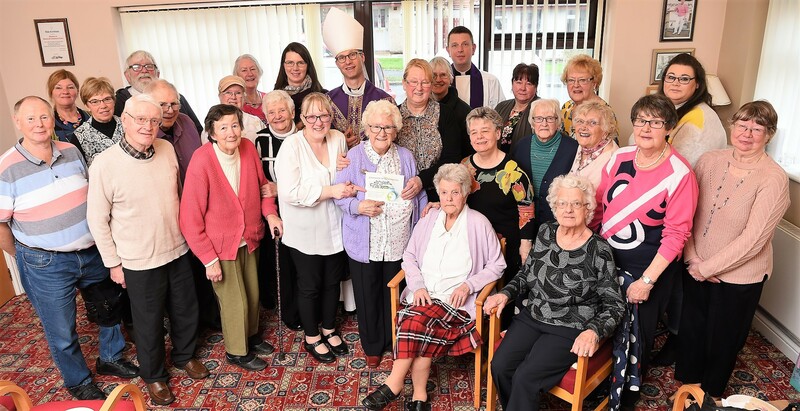 A central figure in the local community, Dorothy is described by her parish priest, Fr David Stephenson, as ‘always a source of fun and always a smiling face’. She has lived in Helmshore for her whole life and as a girl she attended St Thomas' even though her mother, who was Methodist, went down the road to her own church. This was one of the reasons Dorothy came to miss out on Confirmation when her friends were being prepared by the Vicar of the day. 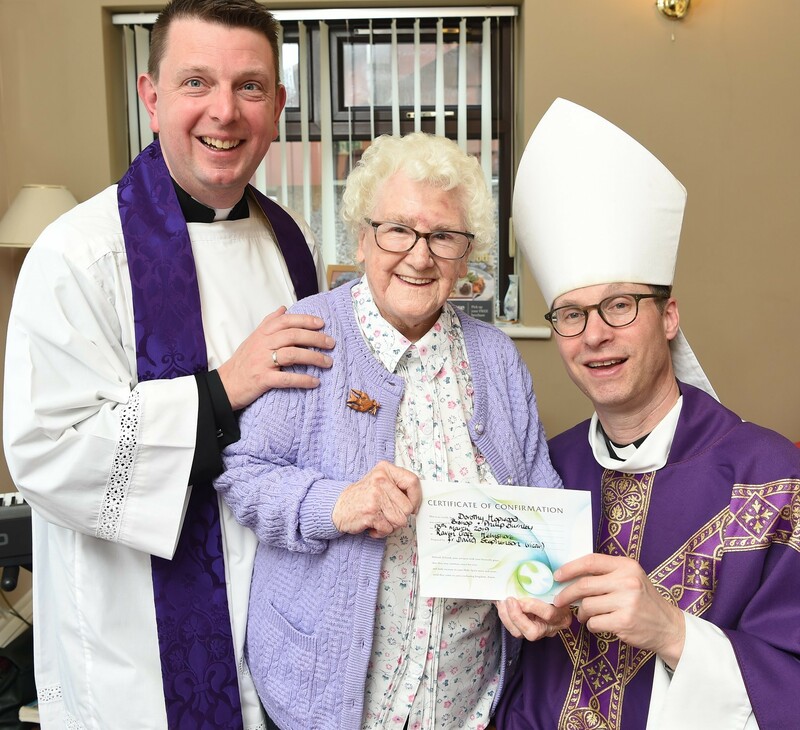 Fr Stephenson added: “Dorothy has continued to keep her faith at the centre of her life, although her high regard for the Church and for the Eucharist has meant that she has felt unable to receive Holy Communion, until now of course." “She is a resident at Raven Croft, a community of mostly elderly folk who live in bungalows and share facilities in their ‘Community Room’. 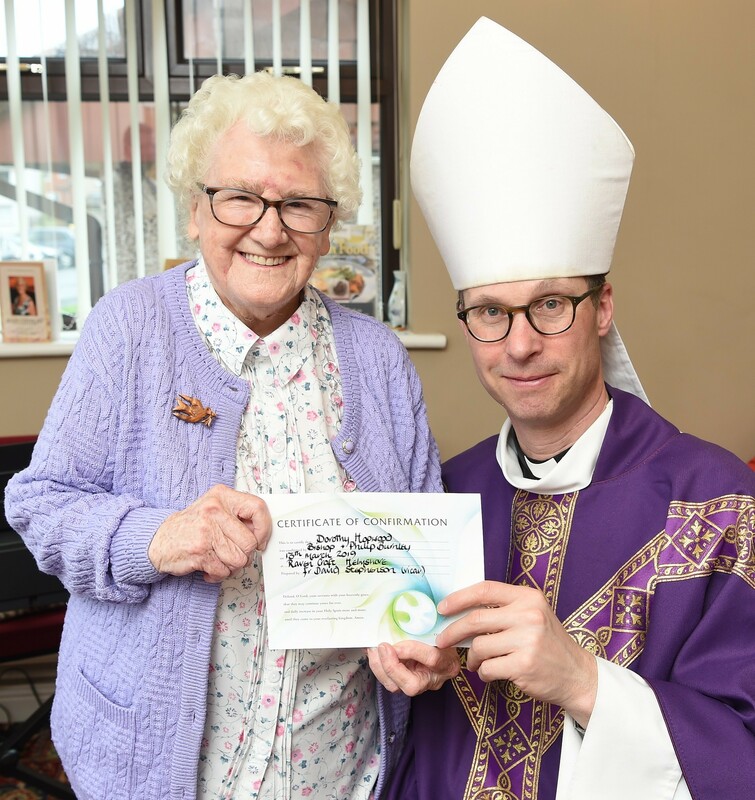 I go in once a month to celebrate the Eucharist for residents, but Dorothy has never felt able to come."